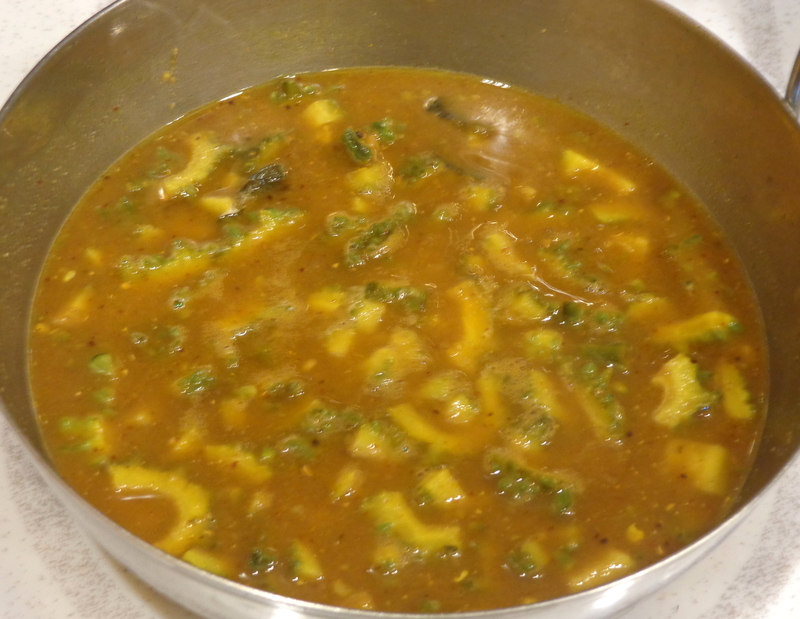 If there is one vegetable that I have hated to eat in childhood, it is the bitter gourd or pavakkai. But it is supposed to have great nutritional benefits. One has to learn to cook it in the proper way with enough spices to mask the bitterness and make it enjoyable. Here’s a recipe for the south Indian dish “paavakkai pitlai” or a dense saambaar that I learnt from my mother-in-law. She also taught me a funny malayalam rhyme about the bitter gourd which calls it the king of green vegetables “paccha kariyin raja”. Traditionally, cooked chick peas are added for extra protein and crunch. 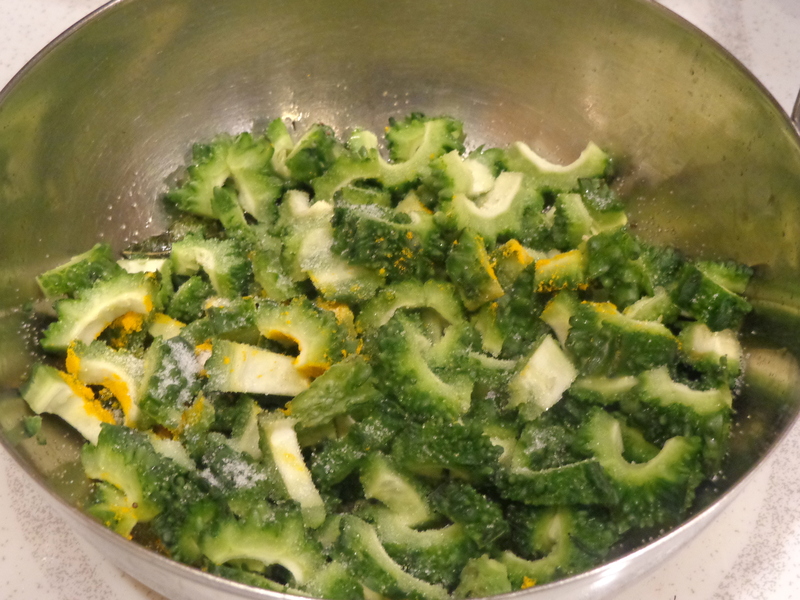 Here, I have used frozen lima beans which is convenient when you have not planned ahead. 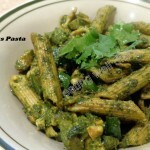 frozen lima beans- 2 tbsp. 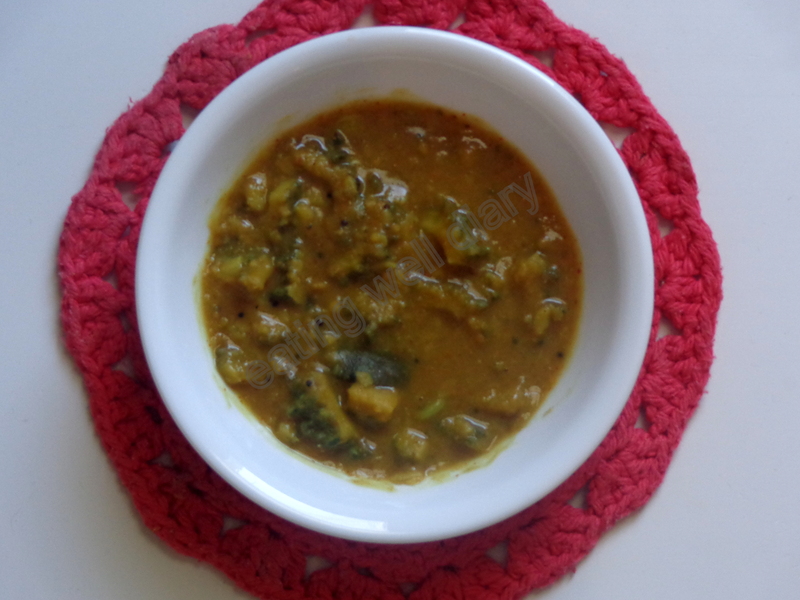 chana dal- 1 1/2 tbsp. urad dal- 1 1/2 tbsp. * Pressure cook toor dal and mash it well. It is important to the get it to the consistency of a paste. 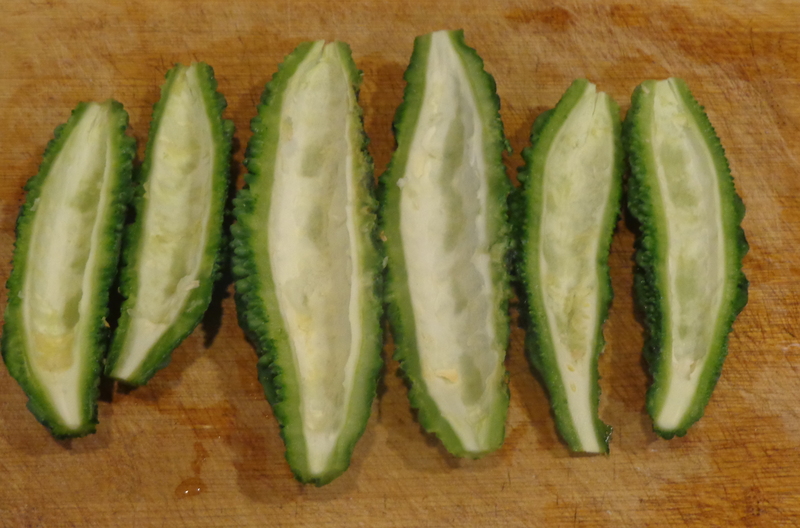 * Cut bitter gourds lengthwise and de-seed. Chop into small pieces. 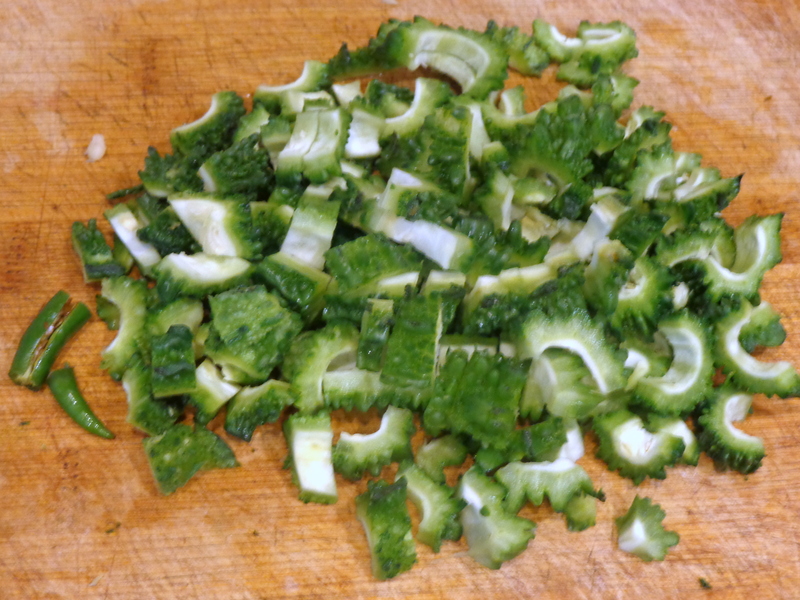 Also chop green chilly. * In a tsp. 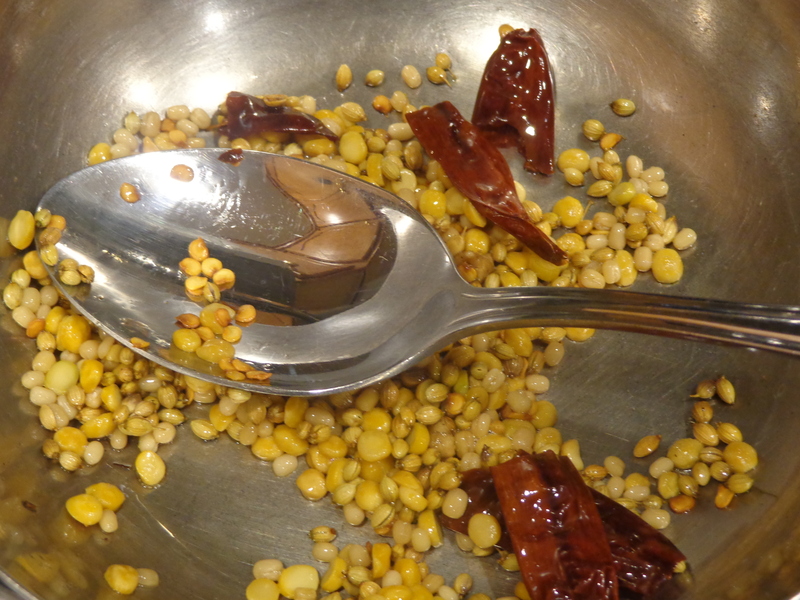 of oil, fry the spices for grinding (chana and urad lentils, coriander, asafoetida, red chilly) till the lentils turn light brown. 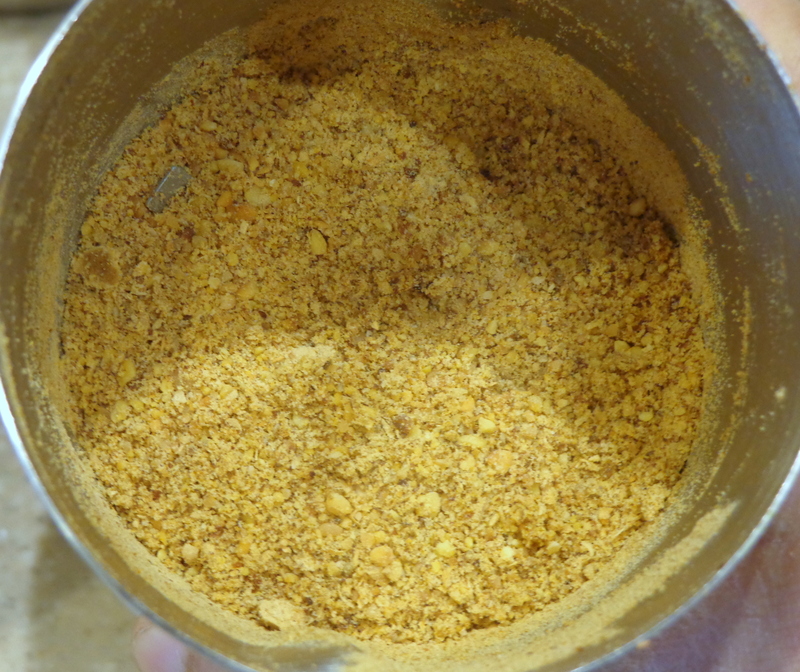 Use a coffee grinder to make it into a powder. 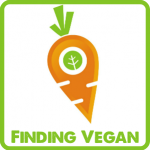 * Extract the juice from tamarind in a cup of warm water. 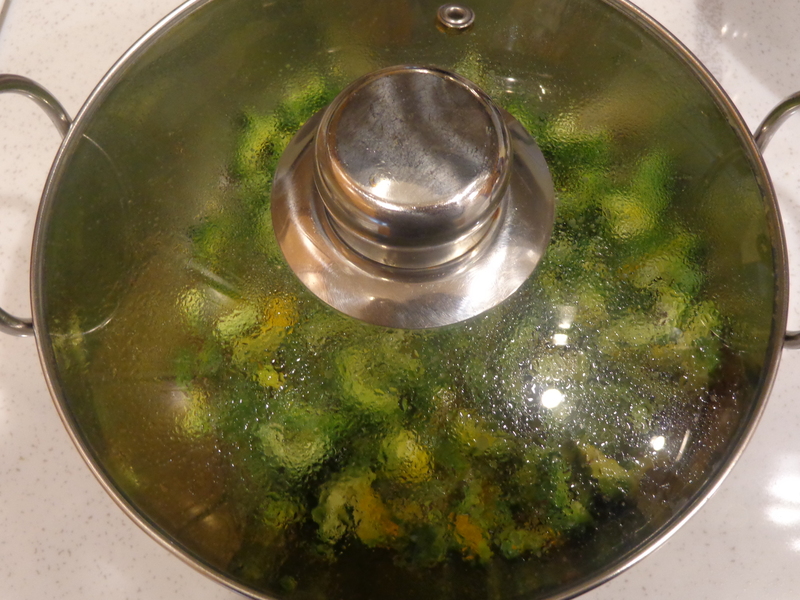 Add the extract/paste to the pan, frozen lima beans along with ground powder and allow to boil. 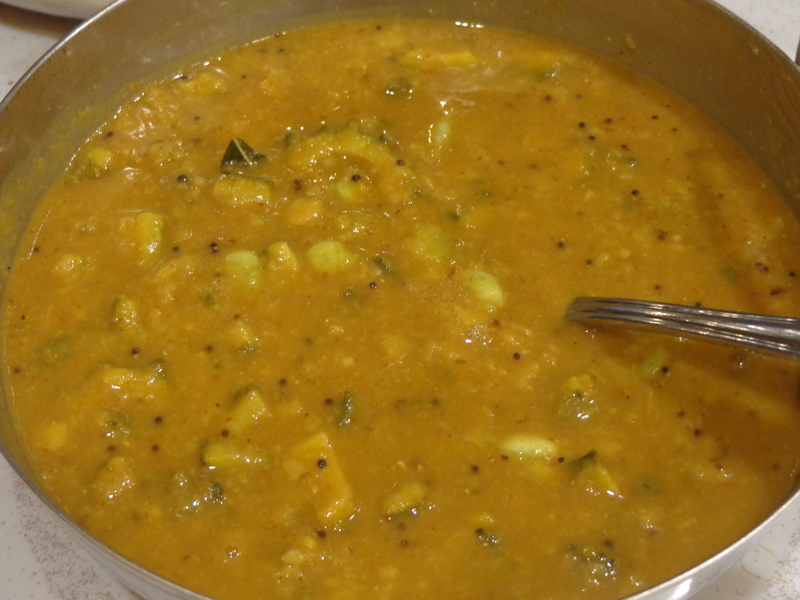 Add mashed toor dal and boil once more. 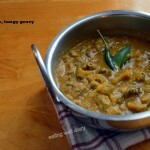 Hi Apsara In kerala we do a similar curry with roasted coconut. Your curry also looks great! thanks, Indu. Actually, we add coconut to this too, optional though. My daughter is a big big fan of bitter gourd. 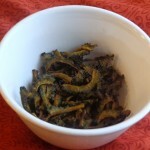 Do you have a dry karela recipe? Please post when you make some next.